Blogging is very much an art in today’s competitive internet climate. Whether you blog merely as a hobby or you blog to produce traffic, income and awareness, there are many aesthetic and technical elements of consideration when doing so. From proper content creation to careful web design and search engine optimization, your blog must be a balance of aesthetic beauty and technical prowess. If you are currently using WordPress, then there are many different resources and tools available to help improve your blog’s overall quality. Today, we’ll discuss a few plugins that you can use to help build a better blog for the long-term. Completely free, Yoast SEO is an excellent and commonly-used WordPress plugin for blogs and websites alike. In short, this plugin makes the act of basic SEO much more streamlined and easily accomplished. While definitely not a panacea, Yoast SEO provides webmasters and bloggers with the ability to quickly edit titles, metadata and descriptions, optimize tag usage, improve keyword saturation and a lot more. Ultimately, anyone who is pinging for SEO should consider adding Yoast to their website, but bloggers in particular will appreciate how much easier it makes things in terms of optimizing content for search engines and the web. Blogs face a lot of criticism from visitors. Any number of small issues can be deadly to a blog’s traffic, engagement and reputation if not corrected or improved. Because of this, bloggers everywhere should consider installing the W3 Total Cache plugin. Absolutely free to use, the W3 Total Cache plugin takes the vanilla code of WordPress + your other added plugins, and optimizes them in order to ensure better performance. Many blogs face slow loading pages due to a variety of plugins that have been added, and may also struggle in this regard due to their hosting services. While this plugin cannot help with the latter, it does improve page loading times by optimizing any blog. This is essential for two reasons: not only do visitors judge slow-loading blogs harshly, but search engines do as well. Every blogger knows that it is important to keep track of various metrics and statistics about their blog’s traffic, bounce rates, conversions and more. While there are plenty of analytics solutions available on the web, it’s generally a good idea to get one that fully integrates with your WordPress blog. Enter the Google Analytics Dashboard plugin, which makes it possible to fully track every aspect of your site from your dashboard. Everything you enjoy via Google Analytics – tracking of visitors, acquisition channels, traffic sources, and much more – can be accessed via this plugin. It is a very useful plugin in that it ensures that you can always be aware of what is going on with your blog. 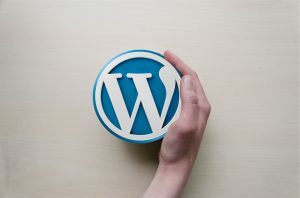 Whether you’re pinging for SEO or merely trying to provide a better user experience for visitors, these three WordPress plugins can be very useful for bloggers. What other plugins do you use to provide a better blogging experience?